2) That the spring is closing the door effectively i.e. that the spring is still strong. 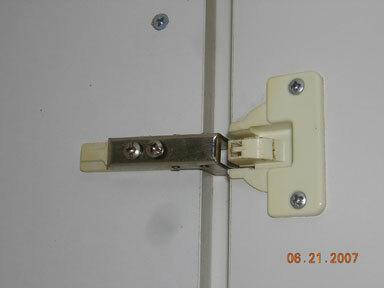 Tip - Existing horizontally mounted hinge brackets will either be metal or plastic. If metal they can simply be unscrewed. If plastic, however, they are usually not screwed but have 2 barbed plugs moulded as an integral part of the mounting plate. This means that they have to be levered off often resulting in damage to the surrounding carcass wood. 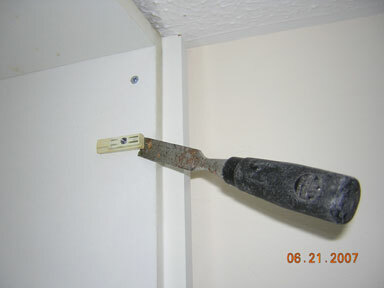 We recommend these are removed with a sharp chisel, as shown in the photograph. 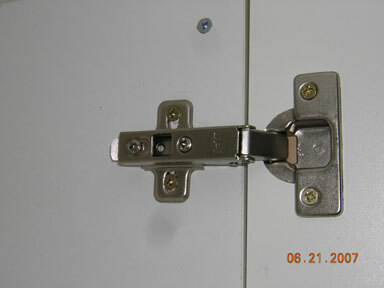 You will find that the brackets should just shear off without damaging the carcass at all. The new plate should perfectly cover the holes. 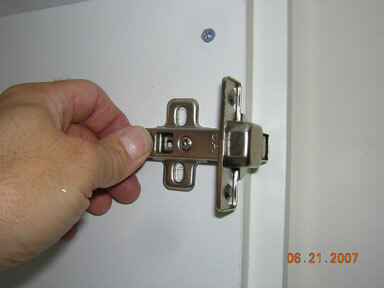 If your existing hinges are vertically mounted but have come loose in the carcass, first check if the screws can be tightened or if the board has disintegrated around the screw. If the mounting plate cannot be tightened then its position should be moved, up or down, so it can be mounted onto good board. 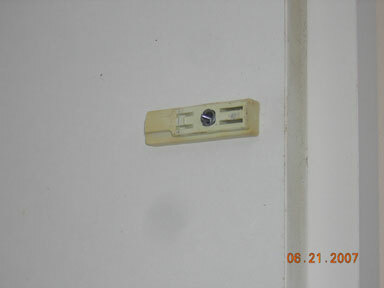 Measure the existing hinge position on the door then add or subtract the amount you have moved the hinge. 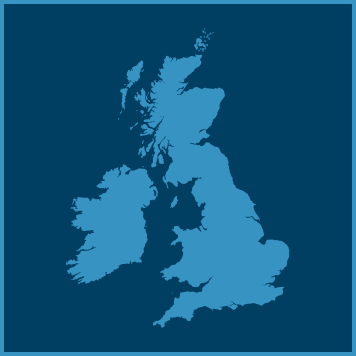 I must say I am very pleased with the product & the service was first class. 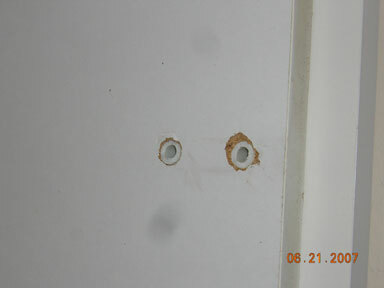 A little concerned about the hinge holes lining up with the holes on the Ikea carcass but they were fine.